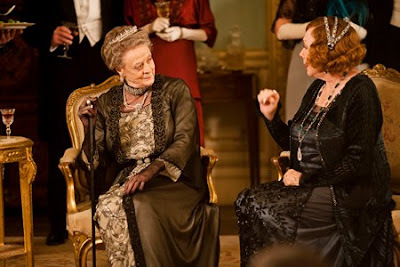 Okay, first hand I'm going to say that I'm going to do a completely different post about the fashion of Downton Abbey. It is so incredibly good, appearance-wise and for shaping the characters. But right now I'm going to write about how I, like others, have a love/hate relationship with the show. And how as a writer this has always made me extremely curious!! My main question: What is it that makes us like it so much, while there are things about it that can just drive us up the wall, make us complain about aspects of it being entirely too overly-dramatic and soap opera-y? And yet, for some reason we still like the story! Even love it. (Sometimes I wonder what dudes are thinking, hearing us girls rant about certain things. My thoughts tend to hilarious conclusions). For myself, the first things were easy. The characters were fascinating, the clothes (everyone loves the clothes—come on!) were unbelievably elegant and eye-catching, as well as definitive of the character; and the production and lifestyle were so believable. It was simply the tale of this family's life. We all love those sorts of stories. It's something we can equate with, on different levels. And then as I took a closer look, especially at the characters, I finally realized what, at least for me, kept me liking it. The characters were so unabashedly themselves. So completely human. And that is the core of the show—pure humanness. Several characters were downright nasty, some good and kind, but for the most part, many were a mixture. That is the way of the human race. And because of this dual nature, there is no telling what a person might do. Good or bad. that is the drive of a good story. And the thing we get to see throughout the course of the series is change. And that is a beautiful thing, for most of it. Some things aren't for the best, but over all...we still believe in it. 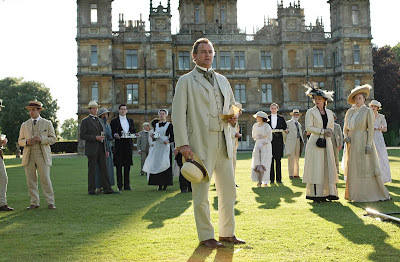 I wouldn't praise Downton to the skies, no—but I would suggest it to anyone wanting to see a good story. And heaven knows there aren't enough out there. Downton accomplishes some portrayal of character that some shows don't harness. I care about the characters. Wish the best for them. Am excited to see them change, am ready to mourn for their losses. So...I think that really answers my question, defines what is the heartbeat of the series. 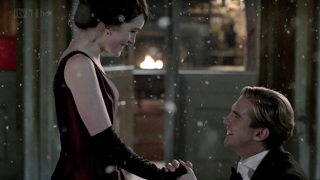 I know I'd want Downton on my shelf. (Especially on the days when I just need to baby my girlishness and get cozy with a comforting latte)! P.S. Just so you know, my favorite is Lady Violet. The show just wouldn't be the same without her! Love that lady! Who is your favorite? What do you like best about the show? I'd love to hear your comments, share links, and talk about the show! (Or aspects of creating stories, etc.) ;D Or just get giddy over fashion pictures! The costumes are SO amazing on this show! Makes me wish I lived back then so I could wear them! I just wish they'd give the story a nice, good ending! Even if it meant stopping the show... for a really good end I think it'd be worth it. I often wish I could go to one of those Austen (etc.) communities where they get together these parties and dress up. I've always thought that'd be so fun! 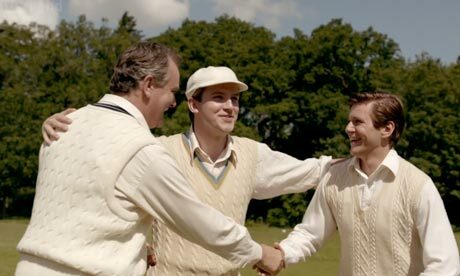 And then to have a Downton one...glamor. That would be so awesome. And I hope they have a really good series ending too...although I am wondering for how much longer it's going to go on. Very curious! Oh, my goodness, yes, I love Violet!! She steals the whole show. She is so funny! My favorite character has to be Matthew, though. He has the most honest, true and admirable personality of all the characters, I think.